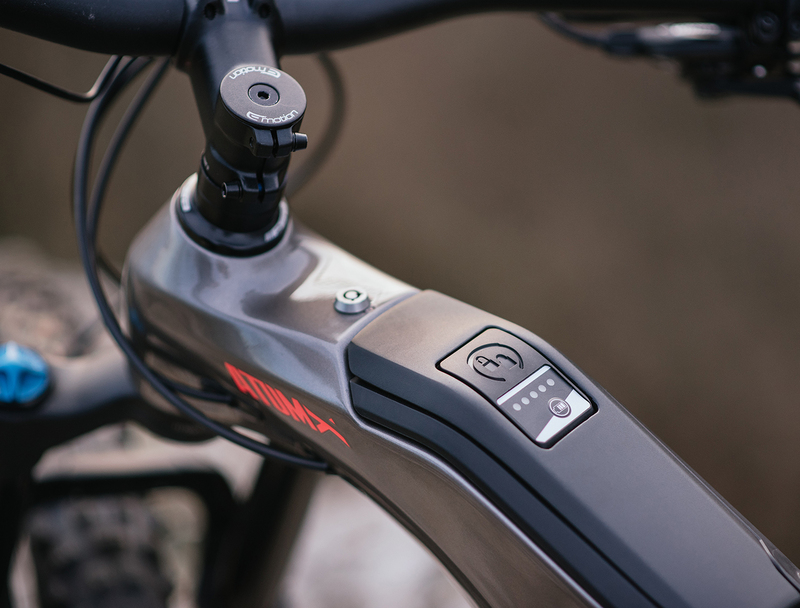 The ATOMX e-bike range needs no presentation. 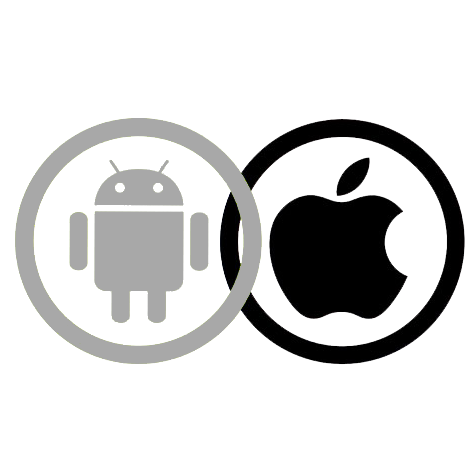 It was launched on the market a few months ago to break the mould. 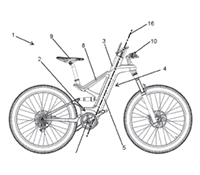 It features a multitude of new technologies that have made it a leader in the most demanding electric mountain bike segment, though it still has some new features up its sleeve. Its lightness and, above all, its maximum level of stiffness for creating the elite of e-MTBs. The use of carbon has taken the ATOMX frame to another level. The ATOMX Carbon is now a reality, a model for the most demanding users. 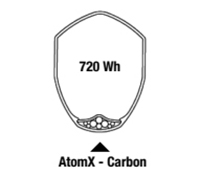 The AtomX Carbon frame has the same groundbreaking lines as the AtomX but they have been redefined and given a smoother finish thanks to the carbon. 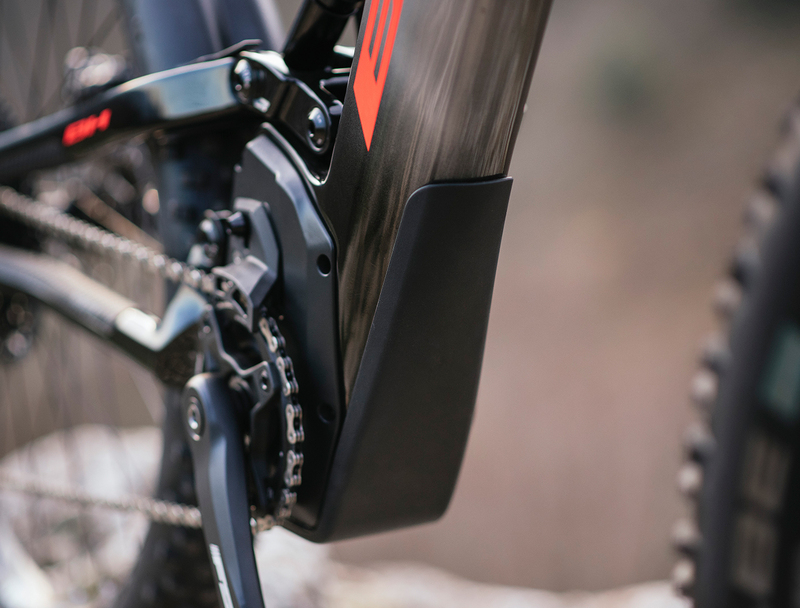 The freedom to create different shapes and the stiffness and lightness of high modulus carbon have enabled us to produce a frame that is 50% lighter, weighing 2 kilograms less. Made from 100% carbon, including the tie rod, rear chainstays and dropout. 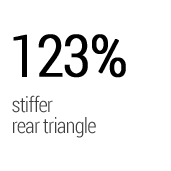 Because the rear triangle is made from carbon, it is 123% stiffer. 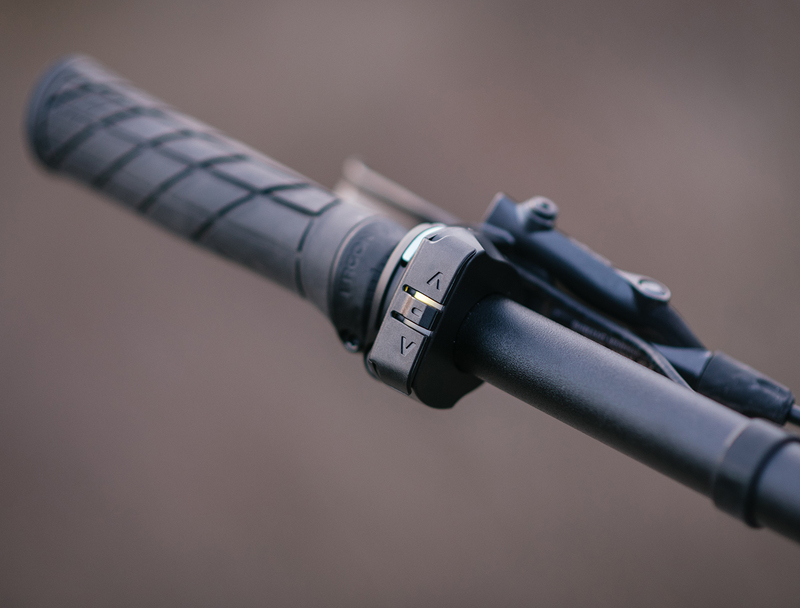 It features a new routing for the travel seatpost that is more direct and natural, thus minimising the friction of the cable inside the cover and making it easier to install. The built-in battery comes with the new 21700 cells, which provide the highest energy density available on the market (5 Ah per cell). This allows us to house a 720 Wh battery in the down tube with the smallest crosssectional area available on the market, offering a range of 155 km. 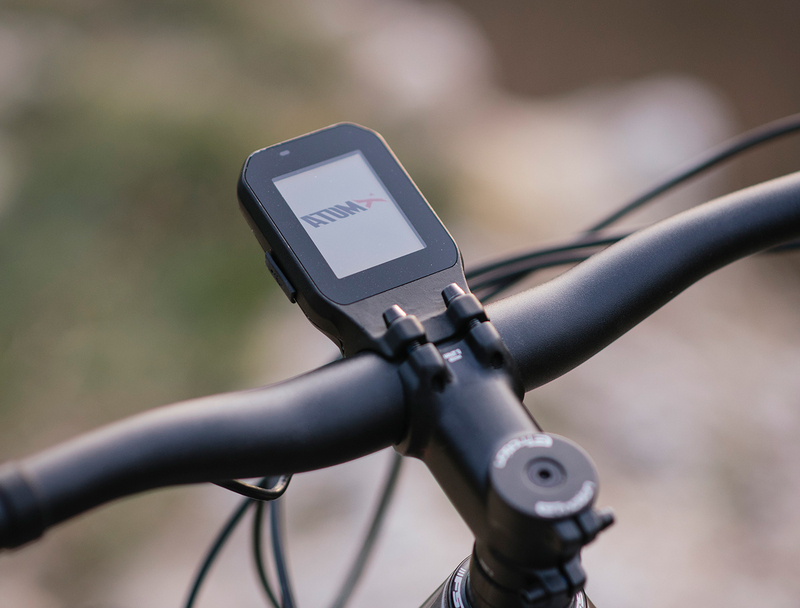 The external charging port is located on the upper side and can only be accessed by the user, meaning that it can be charged without needing the bicycle. 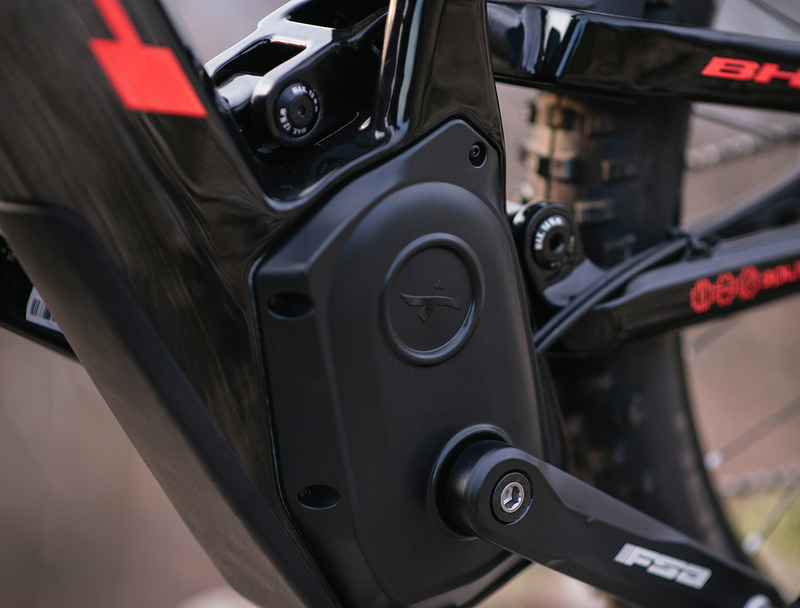 AtomX Carbon e-bikes come with the Brose S Mag motor, which is compact and has a magnesium construction, reducing its weight by up to 2.9 kg. This motor has proven robustness, as it was developed from the Brose S motor, which has been on the market for over 4 years. Its internal drive belt and clutch, which disconnects the motor, ensure the smoothness of the motor and reduce the noise and fiction to a minimum when not using assistance. It provides assistance up to a maximum cadence of 130 rpm, with its optimal operating point being with the user at high cadences (90-120 rpm). 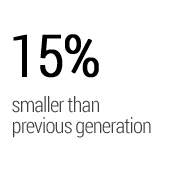 It also offers a higher level of configurability, with the ability to customise assistance modes and acceleration on the display. In a nutshell, this is an extremely lightweight and compact motor, 15% lighter than its predecessor the Brose S Alu motor, with a minimal visual impact and a low centre of gravity , which offers no resistance when in no assistance mode. The built-in battery comes with the new 21700 cells, which provide the highest energy density available on the market (5 Ah per cell). This allows us to house a 720 Wh battery in the down tube with the smallest crosssectional area available on the market, offering a range of 155 km. The built-in batteries feature a high- performance BMS (Battery Management System) that ensures very low consumption and prolongs the life of the battery if it is unused for long periods. Deep sleep mode is activated automatically and allows a battery with 10% capacity to be recharged up to 400 days later. 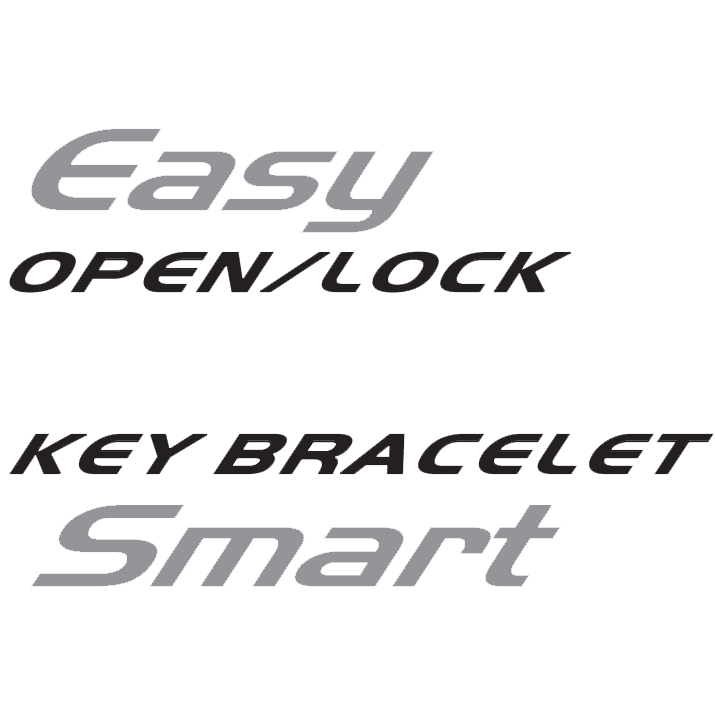 Each user will have a stylishSmart Key Bracelet that will allow them to remove the battery, so that they can charge it without needing a key. 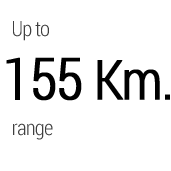 Each smart key has a unique ID for each bicycle. It is a sealed wristband (IP67) that is waterproof and dustproof. New housings which completely eliminate noise and friction and insulate the motor and connections. It comes with protectors on the down tube, chainstays and rear seat stays. The ergonomic controller on the handlebars has LED indicators and a vibration mode to indicate how the functions are configured —i.e. : low battery level. The display is in front of the stem, allowing the rider to maintain a proper frontal view on tracks. 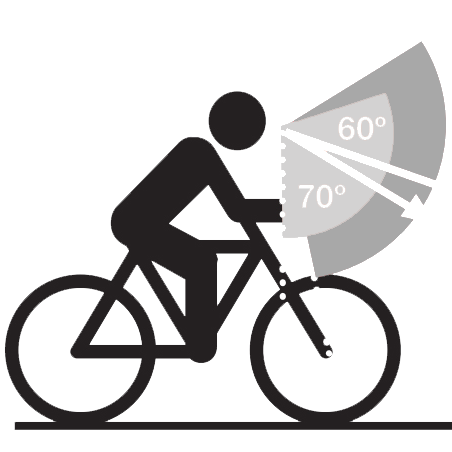 Placing the HUD here makes it easier to anticipate an accident than in the traditional position on the stem. 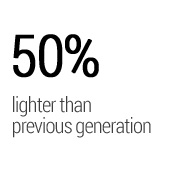 Furthermore, to increase its impact resistance, the display is housed in a reinforced aluminium body. It has a 2.2" transflective LCD colour screen, with a capacity of 256 MB of RAM and a Cortex A7 processor on which the Linux operating system runs. Traction, pedalling efficiency, manoeuvrability and rigidity. The new double suspension ATOMX models feature BH-patented technology: Split Pivot. The compact design of the suspension helps to maintain the frame's structural stiffness, ensuring a lighter weight and enabling the bike to be used without a battery and perform at the same level as a conventional bicycle. Its geometry is very similar to the BH Lynx range, with the rear measuring only 460 mm, enabling dynamic riding and notably improving handling during descents. Split Pivot technology consists of a suspension system with floating shock absorption, developed exclusively for BH Bikes and based on the traction, pedalling efficiency, manoeuvrability and rigidity of the bicycle. This system allows the three forces to act on the bicycle separately. Pedalling, braking and suspension.